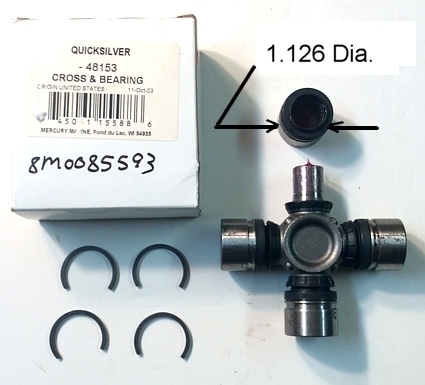 These are used MerCruiser # 75832A2 universal joints. This is what can happen when they do not receive grease at least every 100 hours. When these joints failed, they destroyed the bell housing and gimbal housing. The ( Notches ) shown transfers into a knocking or rattling noise when the boat is under power. 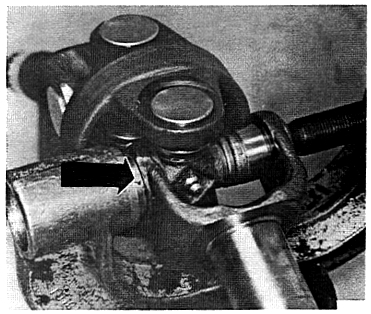 1996 & up Generation II drives ( serial # OF680000 & up ) call for universal joint #805536A2 which are a Perma-Lube U-joint. These universals are a bit pricey and cannot be lubricated. Our universal #8030 is exactly the same size and quality so this is what we sell in place of the pricey Perma-Lube u-joint. The book says to grease these joints at least every 100 hours. The drive must be removed to grease them. These are sold each. You will have to order ( 2 ) to do one drive. These come from GLM Marine and are made in Singapore by the Rockwell Corp. 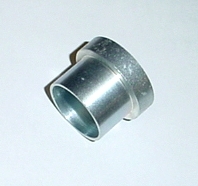 This is MerCruiser adaptor bushing p/n 91- 38756. 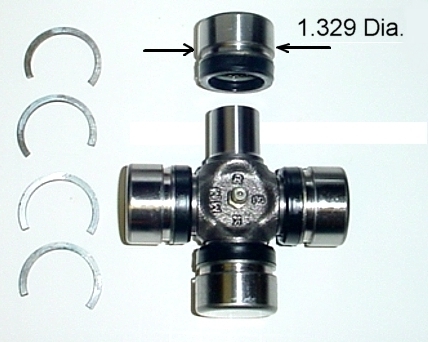 It fits inside of most universal joint installers & removers. 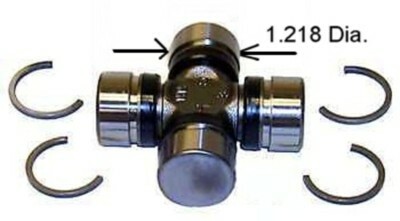 It supports the yoke when disassembling and reassembling the above smaller u-joints. These universals do not have a grease fitting. They come lubricated and are sold each. You will have to order ( 2 ) to do the drive. These come from Sierra Marine. 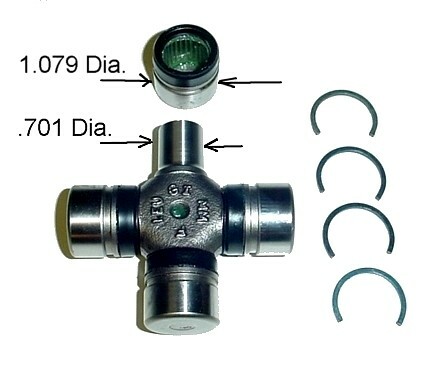 These replace #862132T universal joints. They have very large diameter journals and will only fit Bravo X/XR/XZ serial #OM 100001 to #OW 100001. The book says to grease these joints at least every 100 hours. These are sold each. You will have to order ( 2 ) to do the drive. 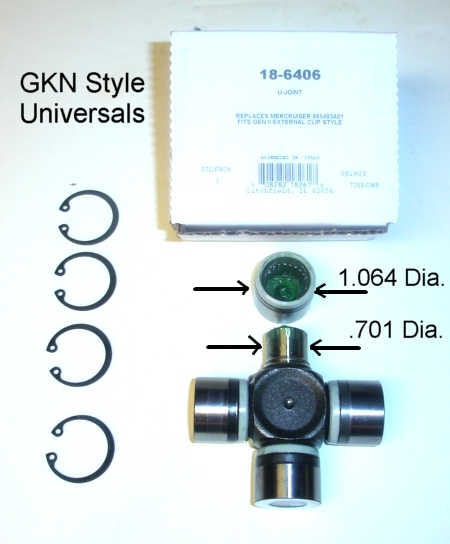 These replace #866136A01 universal joints. They have a slightly smaller bearing cap than the older Bravo X/XR/XZ and will only fit serial #OW100001 and up. 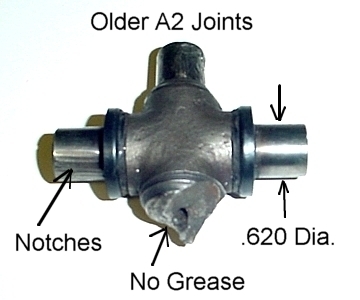 There is no grease fitting on these permanently lubricated u-joints. These are MerCruiser # 8M0085593 ( Old # 48153 ). They fit most of the early 1960's Speedmaster series drives. These used to come from MerCruiser.